Essay collections by leading scholars examine ways in which major literary texts, or the work of major literary figures or genres, have been adapted, transformed, even subverted, in movie and TV versions. 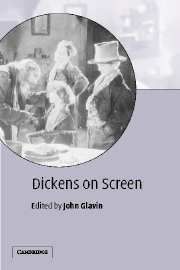 A range of critical approaches are used, and the volumes include contributors with expertise in film as well as literary studies. Subjects of particular interest include differences between visual and on-page ways of representing narrative, and how literary texts are reinvented to meet the needs of a new audience more familiar with on-screen than with literary conventions.